Meet Molly. 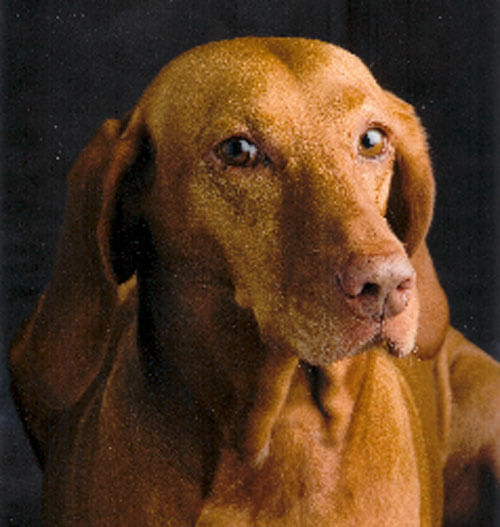 Molly is a very sweet 8 year old Vizsla who was recently diagnosed with a form of cancer called fibrosarcoma. Fibrosarcomas are tumors of connective tissue cells and usually arise on the skin. Molly’s mom noticed her growth right away and it was quickly removed surgically. The growth was biopsied and found to be a grade 3 fibrosarcoma, meaning that it has a high chance of spreading. A CT scan of her chest revealed that it had spread to her lungs. Since Molly was feeling fine, her mom decided to have her see a veterinary oncologist. Molly is currently undergoing treatment for her disease. Molly has been fortunate enough to receive amazing treatment options to help her fight her cancer so she may continue to enjoy everything she loves and a good quality of life. We honor Molly as our first PET of the Month and honor all of our animal patients that are battling cancer.